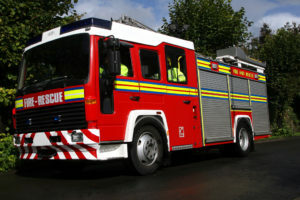 Mitton Group is proud to have worked with West Yorkshire Fire & Rescue Service for many years, installing systems and providing call out maintenance services on WYFRS sites around Yorkshire. When the service was looking to improve the reliability and efficiency of the heating provision at its Birkenshaw Headquarters as part of its wider efficiency measures, the Mitton team tendered for and won the project to provide design and consultancy services for the project. The building was originally heated by three ageing coal-fired sectional boilers. One had been replaced by Mitton in 2010 with a biomass boiler, but the second had failed and the third was struggling to meet the heat demand adequately or efficiently. Five Remeha Quinta Pro 115 condensing boilers on a cascade system were specified to replace the two ageing coal-fired sectional boilers. 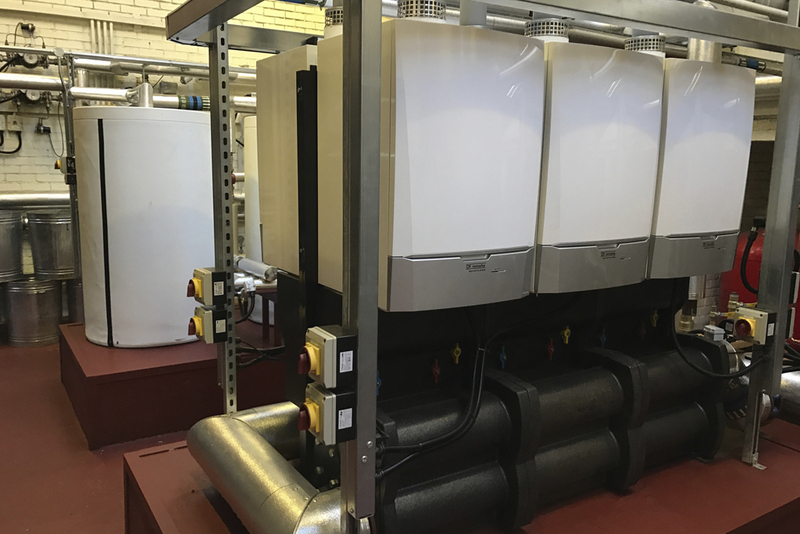 Completing the refurbishment, two Remeha 400 litre indirect hot water cylinders were specified to replace the existing calorifiers. The new equipment has been specified to work in tandem with the biomass boiler to provide reliable, high efficiency, low carbon heating. The light, compact design of the Quinta Pro boilers made them easy to install in the basement plant room. Assembling the free-standing back-to-back cascade system was equally simple, with all the parts supplied and smart gas and water connection technology removing the need for welding. With the new heating system now fully operational, the WYFRS Headquarters is providing reliable warmth and comfort for its fire service staff. The high efficiencies of the Quinta Pro cascade will ensure rapid financial payback for the WYFS. This, combined with the future lower running costs and a reduced carbon footprint, makes the new heating system a win-win solution for the WYFRS.